Imagine the ideal things you'd surround yourself with in everyday life. Now imagine them collected in one space, and you’ve found Leola & Croff. Our homewares —candles, soft blankets, throw pillows and small goods—evolve from the history of the South and the craftsmanship of Europe. The artwork is an awareness of what is current. Vintage finds reflect a well trained eye and a knack for finding the obscure. Every piece has a story. Step into Leola & Croff and feel transported through the senses. The scent of coffee and burning candles, the soft light over a family dinner setting, the sound of jazz, the taste of chocolate. An environment of escape, a calming place for thought. Come in and spend some time. Leola & Croff is a direct extension of Matter Design Co. 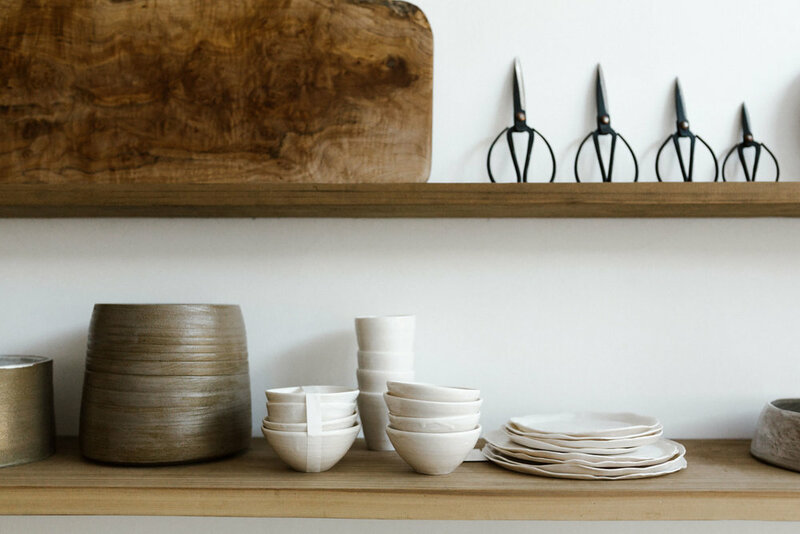 The shop unites curated design and inspiration pieces including furniture, textiles, lighting, art, and accessories in one space. At Matter Design Co., the goal is to design environments that inspire. Leola & Croff brings this vision to life by the same team. Customers can take advantage of this collective experience and discover beautiful ways to live in the comfort of home. Anna and Harvi wanted to create a store where it’s simple for people to achieve a unique and stylish lifestyle in a signature location. Leola & Croff is the physical representation of Matter Design Co.’s belief that good design can transform our daily lives, by showing new ideas and unexpected ways to live, work, question, and experience the magic of everyday.